We spent some time alone after longggg. We went to Select City Walk, Saket and enjoyed a lot, ate, did shopping and then, to make my day, he took me to Kryolan, Lajpat Nagar, which I longed for so long 🙂. I went to Kryolan because I so urgently needed 1-2 things from them like a palette and a makeup fixer, which a dear friend, who is also a renowed makeup artist, recommended me. 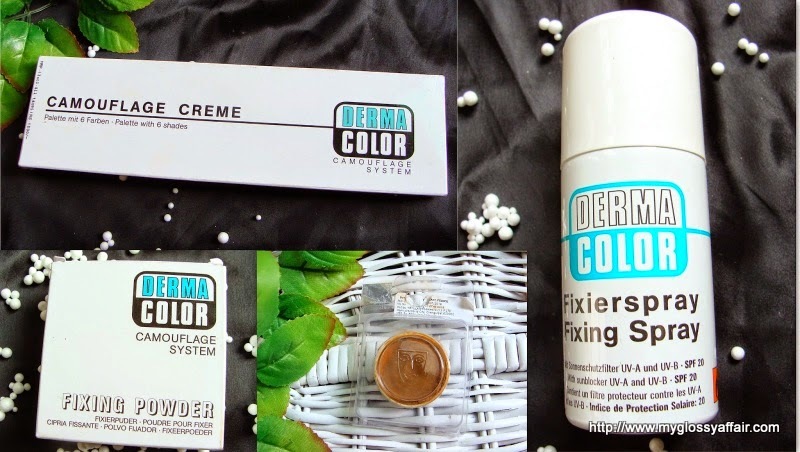 I got some of the pretty products from Dermacolor range of Kryolan. This is a camouflage cosmetics range that is used for hiding all flaws be it some scars or marks or anything!! What a superb range of colours…one of everyone!! 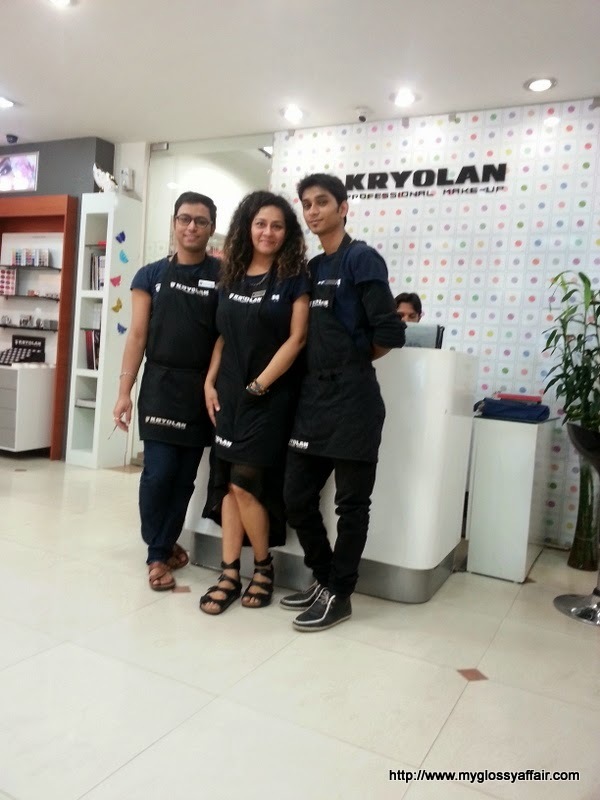 The ravishing , Meghana, at Kryolan is so sweet and helpful. She knows everything and is always ready to help you out while choosing and selecting your products. I wanted to have Supracolor palette but she advised me not to go for it for my oily skin and that too in summers, as it is a little greasy. She showed me Dermacolor range that is perfect for my skin. I love her for guiding me properly and turning me to that great miracle range. Now let me tell you some about the store. Its great with loads of lovely products on display and with lots of space!!. Not that little mini shoppe where you just keep on bumping into others in rows. The staff is super helpful but don’t force you into buying or liking any stuff you don’t want. They give you space to test and try!! Now, coming to my haul from Kryolan, I got a Dermacolor Camouflage palette, a Dermacolor makeup fixer powder, a Dermacolor Makeup Fixing Spray and a refill meant for contouring. Yeah….that’s it. Only the products that I wanted and that too very reasonable priced. Kryolan is among the best ones who manufacture professional makeup but the prices are less than ½. Let’s have the pic of my haul now 🙂. 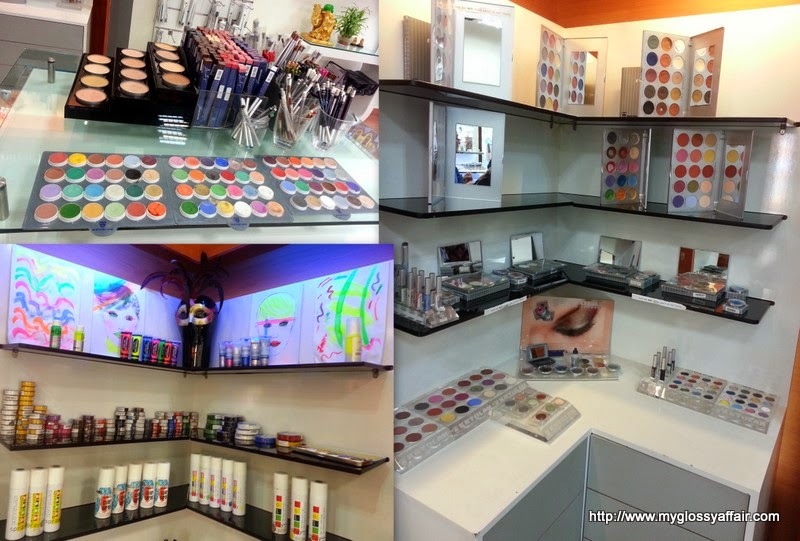 Great place to go and enjoy the makeup. What a great place for makeup. Fab! 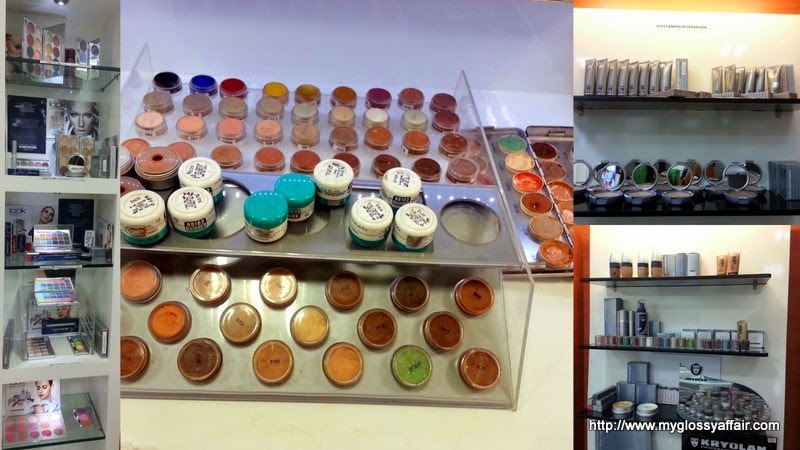 what a great selection of makeup…! I need to visit this place too, wish they open more stores! Nice haul dear. That must have been a treat. It all looks brilliant! Great photographs, POTD! Mr B needed some black nail varnish to touch up one of his props and went to Charles Fox, the theatrical make-up store in London. They stock Kryolan and the staff were really helpful there too. Nice to know their service is so good worldwide! How do you find the fixing spray? Do I need to get some for my kit???? i would go crazy in there!! I would be in Heaven with all thous beautiful colors. As always great post darling. wow such a lovely haul! I want it all! Wow you must have had sooooo much fun with that huge haul!!! Lovely clicks sweety <3 Waiting for ur reviews! Lovely clicks dear! waiting for ur reviews! Very nice pictures. I am thinking to try out Kryolan from long back.Now will wait for your reviews before giving this brand a try ! Tempting products and waiting for the reviews to be out soon. waoooo drool worthy haul dear! 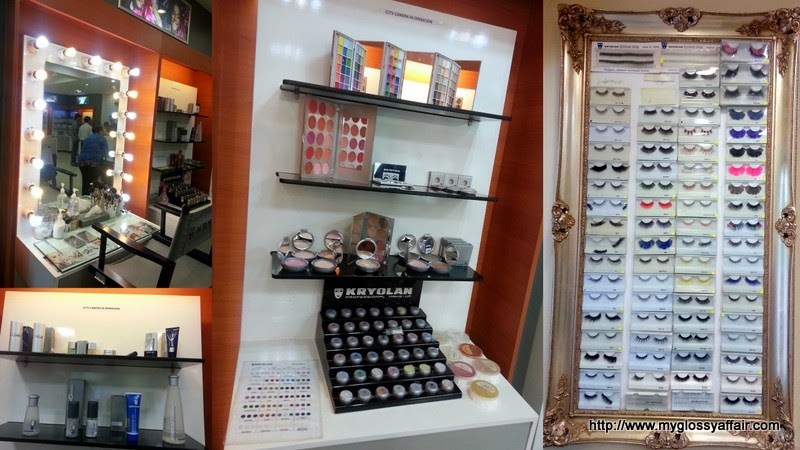 I am yet to try Kryolan, next time I visit Lajpat nagar, I am going there!! So cool! Kryolan is the main makeup used on the U.S. reality series called Face Off on the SciFi channel. Its makeup artists competing to win money and they have to do crazy monster makeup and amazing creatures etc. Love that show. Nice haul! Look forward to reading the reading the reviews! Nice tour!! 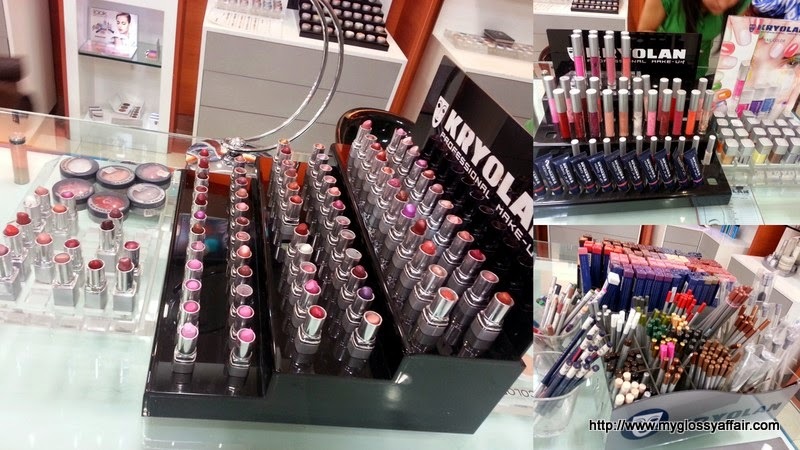 Kryolan has great products. I would love to visit one of their locations. I enjoyed reading this…thanks for sharing Charu. Of course we can follow each other, I’m following you now on GFC (number 611) so now it’s your turn to follow back! this is like a fairy land.. xoxoxoxo..
hey i followed you on google+, do follow back.